Once again, school has started at NBHS and we are getting into the groove of the year. This year I have 3 senior Econ/POD/Psych/Soc classes, 1 World Cultures Class, and 2 Honors Civics Classes. The grades in order listed are 12th, 10th, and 9th. I run a basic orientation every year to introduce the students to the tools we use in class, such as Edmodo, Edublogs, and the iPods and iPads. Over the years I have scaled back what I introduce to the students, some of the items introduced were rarely used, or used so much later in the year students had to relearn how to use them, no need to mention them here. This year is nice, orientation is moving much more quickly, almost all of my seniors already use the tools that were introduced, a few need to learn Edublogs, but have used Edmodo, my are similar. All of them used Edmodo last year, but need to learn Edublogs. A few of my freshmen have used Edmodo in the past, but none have seen Edublogs yet. 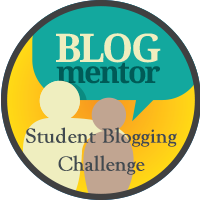 Almost all of my students, if not all, have read or written blog posts, so they understand the basic concepts, they just need to see the specifics of Edublogs. Every one of my students has had experience with some sort of mobile device, specifically iPods or iPads, possibly just not in a learning situation. The students familiarity with these tools makes my job so much easier. No longer do we need to start at square one and move forward, most students have some experience and they willingly mentor those students who may need assistance. This frees me up to troubleshoot issues like resetting passwords, reconnecting devices to the Internet, or working with students who need a lot of assistance. Three days into class and all but one of my classes have logged in to Edmodo and field tested the iPods with Edmodo, along with the new Edmodo interface that will soon be released to the public. The only class that did not log in will do so on Tuesday, we hd abbreviated periods due to a pep rally schedule. We had a few hiccups and bumps in the road, which is par for the course when using technology. Fortunately we turned all of them into learning situations, with students helping each other out, mentoring others, and even helping me troubleshoot and test different workarounds to the issues. The most important lesson students learned was patience and not to stress if things go awry, I emphasize the fact that if things don’t work as planned, we adjust and move on without penalty. At the end of the day, only about 4 students had to use one of the laptop computers to access Edmodo and complete the assigned tasks. if we would have had more time, or preferably block scheduling, I could have kept those students on the iPods and worked out a solution to the log in issues. 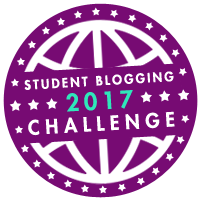 If time was not short, I also could have had the students start on their blogs. The biggest consumer of time today was the handing out and collecting the iPods from the students. Most of my classes are 20+ in student numbers, it takes time to hand out the devices and collect them with the system in place, manually handing out the devices and students initially a sheet of paper. The good news is that it took under 10 minutes to hand out and collect devices in each class, and history has proven that the time improves as the year goes on and we all become more familiar with the process. Next week we jump into Edublogs and students start writing posts about course expectations, then we move into the course curriculum. The students’ familiarity with 21st Century tools and skills as enabled us to move forward at a faster pace into the purpose of the courses, the actual curriculum.